The body section is mounted on 12.5 cm castors. The Back Section is adjustable by electric actuator control by remote. The height is adjustable by electric actuator control by remote upto 80cm. Product Size: 183L x 60W x 60-80H cms. 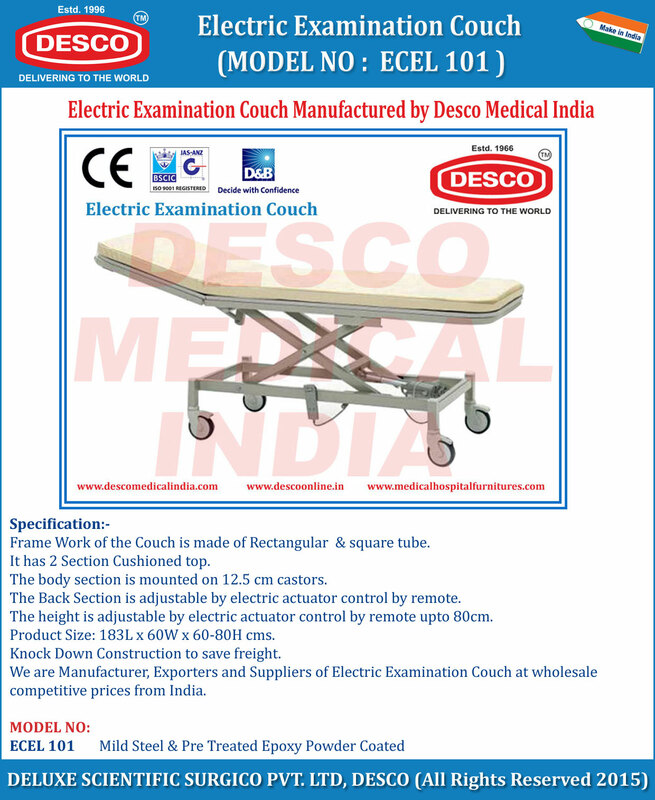 We are Manufacturer, Exporters and Suppliers of Electric Examination Couch at wholesale competitive prices from India.